Plain and simple; There is no other debt collection agency more qualified to serve the needs of landscaping and lawn care companies than American Profit Recovery. We are endorsed by countless organizations in the green industry including PLANET (now National Association of Landscape Professionals) , Scotts Lawn Service, Real Green Systems, Weed Man, Lawn Doctor and many others. Let APR put our expertise to work for your lawn care or landscaping business to keep your bottom line lush and healthy. We keep you from having to use valuable time chasing overdue accounts, leaving you time to focus on generating more business and servicing customers. APR knows the importance of retaining customers and we employ a diplomatic approach to not only recover monies owed, but to keep those customers as well. There are countless lawn care and landscaping professionals that not only use our system but have had impressive results and improved cash flow. Our diplomatic approach will assist in retaining clients while also strengthening your reputation in the community. 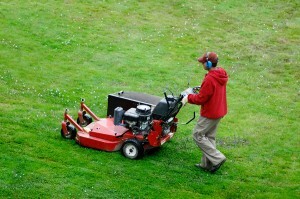 We are the leader in lawn care collections and we are eager to get to work for you. Ask any major player in the green industry and they’ll tell you we’re the best choice for your struggling cash flow. We have thousands of clients just like you who have entrusted their accounts receivables to us. Call APR today to set up a free, no obligation phone meeting to discuss your needs. Find out why we have such a great reputation in the green industry.